As Congress considers immigration reform, workers plan a global day of action for June 6. Following demonstrations outside McDonald’s headquarters and CEO Don Thompson’s home, striking guest workers will hold an international day of action on June 6. The fifteen strikers, all students who came to the United States on cultural exchange visas, plan to lay the groundwork in their home countries over the next two months. “They didn’t count on the guest workers to supersize their campaign,” NGA Director Saket Soni said in an e-mail to The Nation. 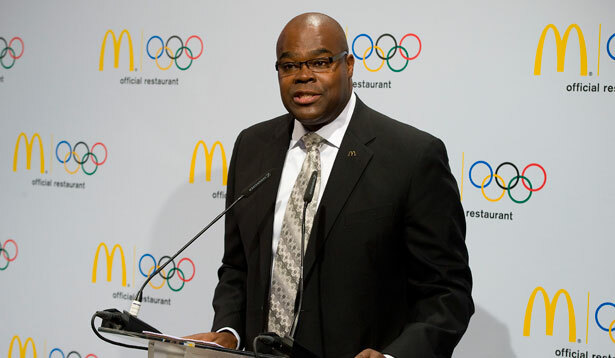 McDonald’s did not respond to a request for comment. The McDonald’s strike has played out against the backdrop of immigration talks involving organized labor, business and key senators. In a Saturday statement, AFL-CIO President Richard Trumka announced “an agreement in principle” in the ongoing negotiations between the labor federation and the US Chamber of Commerce “to develop a new type of employer visa system.” According to the AFL-CIO, the proposed new “W visa” would come with stronger protections for workers, including: the chance to petition for permanent status after one year; not being tied to a specific employer; a Department of Labor complaint process; and a prohibition on employers shifting program fees to employees. McDonald’s strikers will begin returning to their home countries this week. Workers said that the shape and scope of the June 6 day of action have not yet been determined. It won’t be NGA’s first foray into cross-border organizing; as I report in this month’s Dissent, the organization has also partnered with the Mexico-based human rights group ProDESC to organize Mexican guest workers in their hometowns before and after their annual trips to work in the United States. Undocumented immigrants are coming out about their status—sometimes without the support of important allies. Read Aura Bogado's report.